It’s Valentine’s Day tomorrow and although it is usually celebrated between boyfriend-girlfriend or spouses, it can also be celebrated between parent and child. If your child loves ZhuZhu Pets, I have a link for you which leads you to print out cute ZhuZhu Pets Valentine’s Day cards. There are a total of six cards, print one or print them all! Cute! This entry was posted in Printables and tagged printable cards, Valentine, Zhu Zhu, ZhuZhu Pets on February 13, 2012 by Cyberpartygal. 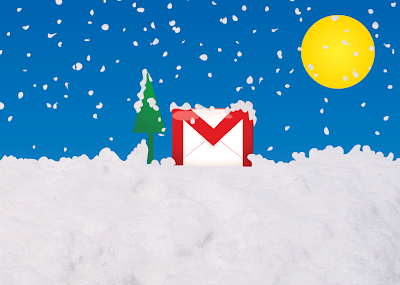 Earlier this month, Gmail had a freebie offer for users whereby people were asked to write in with their greetings and name of recipients and Gmail would send out physical greeting cards to these recipients but this was limited to recipients within the United States only. Well, even so, the cards have run out. Now, Gmail has allowed us to print out these cards and we can send them along. Is that thoughtful of them or what? Just visit the link that I have provided in this post and you will be able to see that there are six different designs of free Gmail/Google printable holiday greeting cards that would look nice only if you output it on a printer with high quality non-smudge ink! Hehehe! This entry was posted in Freebies and tagged free greeting cards, Gmail, holiday cards, printable cards, Printables, season's greetings on December 7, 2009 by Cyberpartygal. It is unfair that some people could be so creative while some of us could not come up with anything nice to share with the world at all. For people like me, the best I could do is to USE the work of others. I am a user and not a producer though I wish that I have the talent! Some of you may remember that I bought myself a very good printer about a year ago. Wow, how time flies! Well, what is a good printer for if not to make arts and crafts, right? Card Making World provides plenty of card making ideas and printables that we could use. Besides ideas to make real cards, Adele, the site administrator, also scours the internet for discounts and promotions from online craft retailers. This would be very useful of you have a craft project going on! This entry was posted in Printables and tagged card idea, card ideas, card making, card making idea, card making ideas, make card, make cards, printable, printable card, printable cards on February 17, 2008 by Cyberpartygal. Even though almost everyone is sending out ecards and paper cards are not so popular anymore, sometimes it is not always appropriate to give ecards, especially for children, the elderly, people who are not web savvy or without internet access. Since I have bought a colour printer that outputs amazing colour prints, I was looking for websites that lets me print out greeting cards. That’s how I came across Perfect Printable Cards. This website houses so many printable birthday cards that you will be hard pressed to decide which card to print out. Colour ink isn’t cheap but I could not help myself from printing quite a few! Every card is so unique but be careful. First timers could find it difficult to customize the cards. Once you know the way to do it, it is a breeze to select, download, customize, print out, fold and send! This entry was posted in Printables and tagged birthday card, birthday cards, free birthday card, free birthday cards, free printables, printable birthday card, printable birthday cards, printable card, printable cards on May 14, 2007 by Cyberpartygal.